Jhon Jeiver, a lethal guerrilla fighter who escapes the jungle after the signing of the Colombian Peace Agreements. 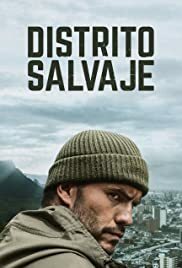 He arrives in Bogotá escaping from his past, and tries to reinsert himself in society while looking to reconnect with his long lost family. But he soon finds himself wrapped in a web of crime and corruption, struggling to understand the ways of the concrete jungle, protect his family from his past, and faced with the moral dilemma of choosing what side of the law he wants to be on.